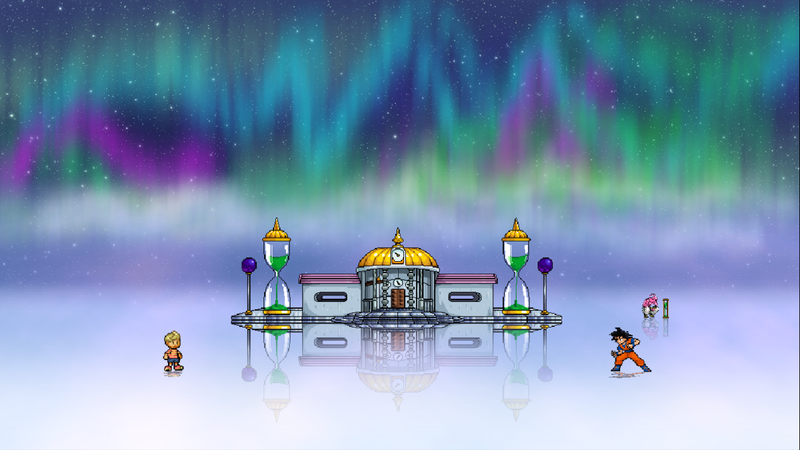 Goku Revamp and Hyperbolic Timechamber! Goku is known for two things; his endless appetite for food and never-ending lust for training and fighting. No matter how strong Goku gets, there is always someone stronger to threaten the Earth! Therefore, Goku never stops training and refining his techniques! 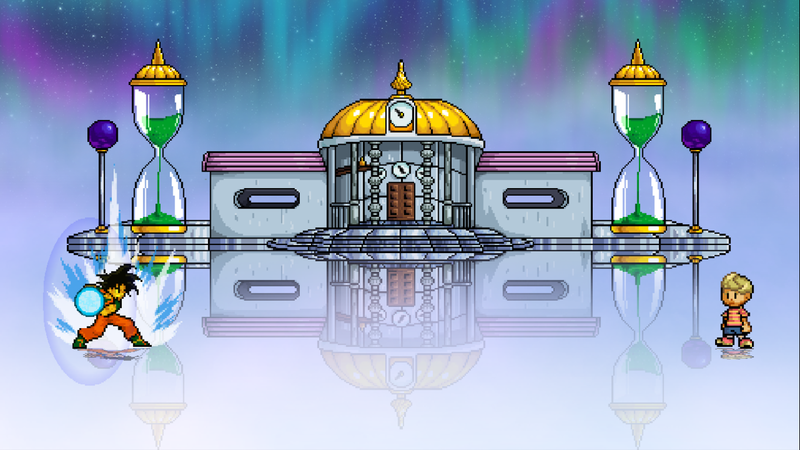 Where better to train than the iconic Hyperbolic Timechamber? 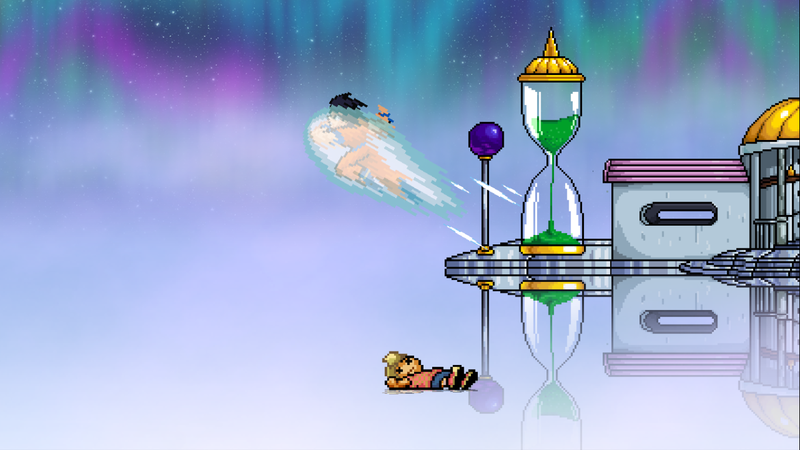 This classic training ground makes its debut in SSB Crusade v0.9.1! Take in the stunning visuals while you train your skills against foes without impeding platforms, slopes, walls or even edges. This stage features a flat, walk-off design for a test of fighting prowess. But that's not all; play with hazards on and gravity is amped up! 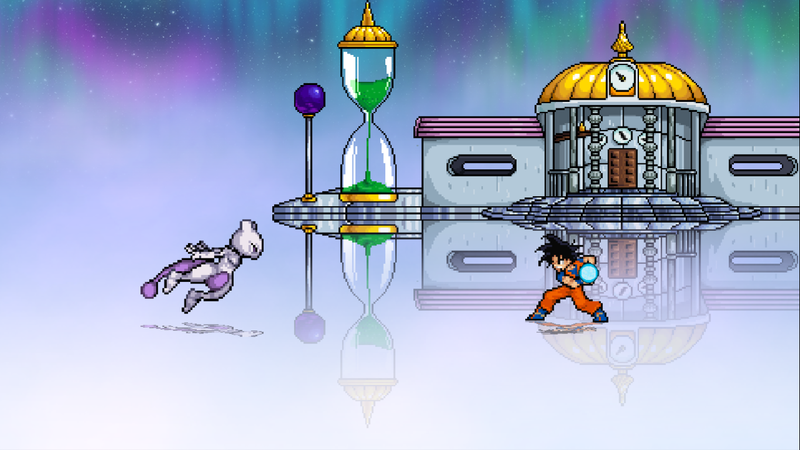 So what has Goku learned with his time in the chamber? For starters, let's revisit what we learned during the v0.9.1 direct. Rather than shooting a large beam fairly quickly, Goku now has to charge his neutral special in order to achieve the same results. Pressing "Special" will initiate a charge, and pressing "Special" again will fire. But that’s not all! 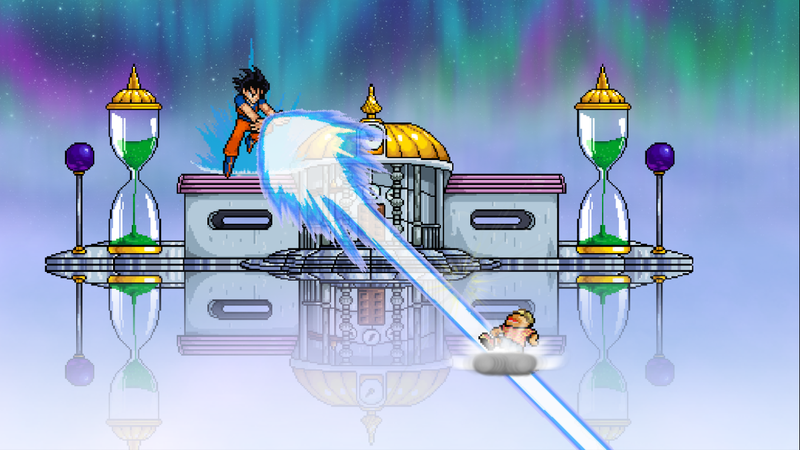 Aiming to be as close to canon material as possible, we’ve given Goku the ability to aim the wave up and down. Hold up or down to direct the attack accordingly! That's not all Goku has learned from training. 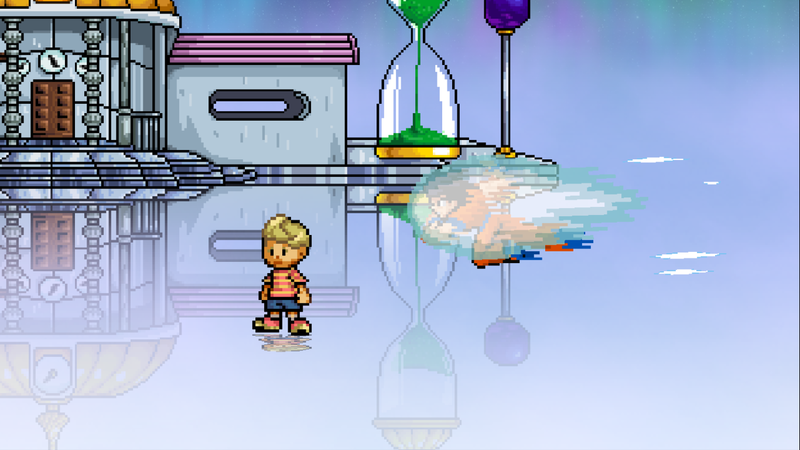 Introducing: Warp Kamehameha! This iconic move was first seen in Goku’s duel against Cell. Your opponent thinks you’re immobile while you’re charging the Kamehameha… think again! Teleport away from your original position and fire away! 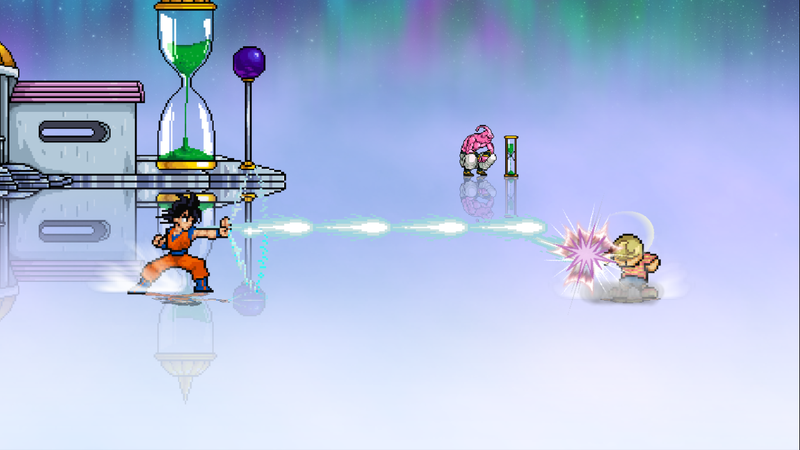 By pressing "Attack" or "Grab" followed by a direction, Goku can teleport once during charging. He can even come out of the teleport facing a different direction by using left or right directionals as he reappears! But that’s not all, as you can continue the charging where it left off and aim the wave up or down after teleporting! Use this keep your opponent on their toes! The Continuous Kamehameha is an interesting variation of Goku’s Side Special: the Ki Blast. The input is similar to the regular Ki Blast, but functions like a “Smash Special”, meaning that the input is similar to a Smash Attack. Before moving on to talk about Continuous Kamehameha, let’s talk about Ki Blast. It now boasts decreased end-lag and increased hitstun at the cost of less Knockback. However, this is overall beneficial, as Ki Blast now is a projectile that can provide adequate pressure and even provide Goku with the opportunity to transition into his combos, depending on the circumstance. 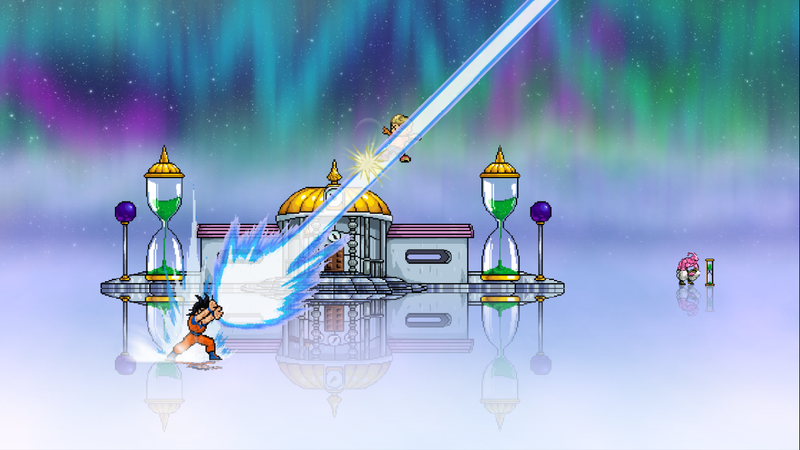 Continuous Kamehameha on the other hand requires a charge-up time, but produces several Ki Blasts that amount to far higher damage if all connect. 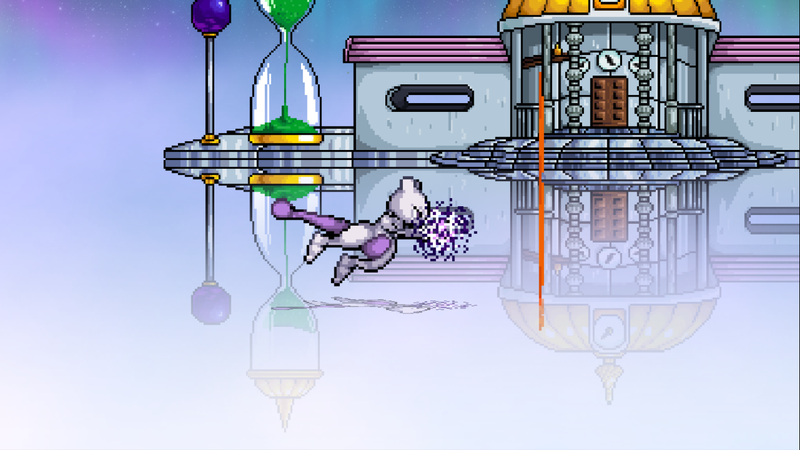 The projectiles travel with lower velocity and travel less distance overall, but home in on opponents and cover more area at once, assisting Goku with his spacing game! Continuous Kamehameha has more end-lag than Ki Blast, but slows Goku’s descent, whereas Ki Blast does not. Choose between the two accordingly! 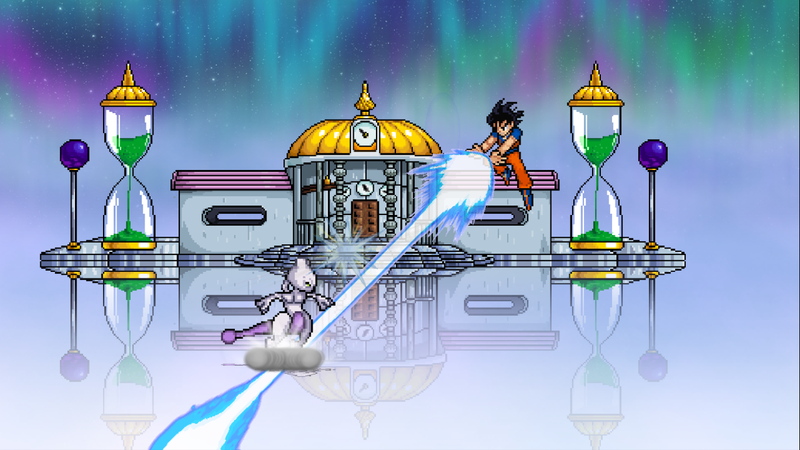 An additional tool in Goku’s arsenal is the Dragon Dash! By pressing "Grab" in the air, Goku will charge forward with a surrounding hitbox that knocks in the direction he is flying! Use it to gain some extra distance in the air and hit unaware opponents! You can even aim the dash up or down as you go! Beware however; not only does it leave Goku helpless, it doesn’t snap to the ledge either. Use the Dragon Dash with caution! Lastly, Goku's Kaio Ken attack has been adjusted. In previous versions, this move was just as overpowering and spammable as Kamehameha. It could be used over and over again until it connected, providing a massive built-in combo on hit. We've redesigned the attack to feel more fair while still being useful. The spectacular combo that ensues after the Kaio-Ken Attack connects now transpires faster than it did before. As a result, Goku will now actually deal more damage during Kaio-Ken Attack than what he’d receive as per the Kaio-Ken state. Additionally, Kaio-Ken Attack will cause the Kaio-Ken state to be automatically switched off regardless of whether the attack connects, preventing spamming of the attack and adding risk to using it! This can be either bad or good depending on whether you wanted to stay in the Kaio-Ken state for longer. Mr. Popo thinks you should choose wisely! 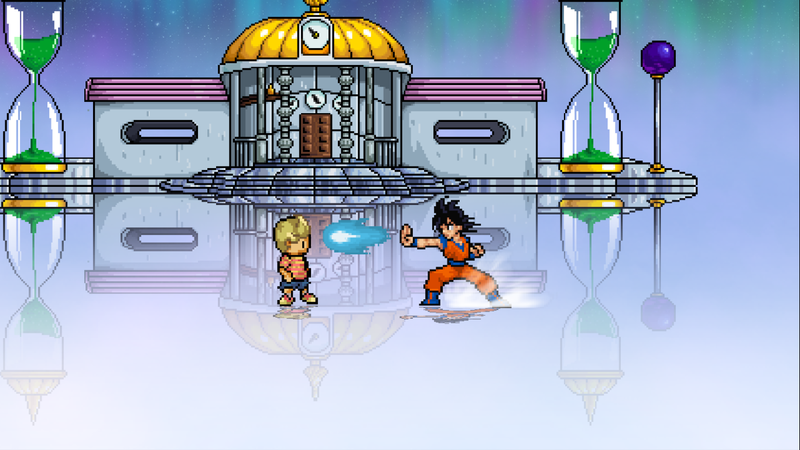 Excited to try out Goku in v0.9.1? Let us know what you think! Tune in next week to see how we've improved Geno! Re: Goku Revamp and Hyperbolic Timechamber! This is not an alternate playstyle. These are changes to the default, and only, Goku playstyle. Hey it's Final Destination 2. Jokes aside, noice. Can't wait to see Geno. This stage looks awesome! I also like the episode reference with Buu. "I thought it was called the room of space and time." Oh, I knew there would be a HTC stage , I predicted a thing once at last! xD. Good changes overall, it makes Goku a lot more like the show while still being in a smash game.